An innovative and automated business model that addresses a new generation of retirement by using a five-step retirement system. The New Generation Retirement® system is a proprietary business model for your financial practice, built to not only address but help you thrive in today's evolving regulatory environment. The model provides a transformative, five-step system for you and your prospects and clients while incorporating three principles of success: fiduciary/stewardship, transparency and technology. The synergy of the five-step system and hallmarks of success ensures a winning combination and five-star service for both you and your clients and prospects. When you work with the Gradient Financial Group, LLC family of companies, the New Generation Retirement system will be tailored to your licensure and unique business structure – and getting started is turnkey. In today's world, doing what is in a consumer's best interest is more than just a regulatory standard – it is also the most reliable way to build a practice of value. Consumers seek a trusted financial services professional – someone who is educated, effective, experienced and, most importantly, looking out for the consumer's best interest. Serving as a fiduciary/steward to your clients is an essential part of the New Generation Retirement system. Whether you are legally bound to act as a fiduciary to serve your clients’ best interests or act as a steward to care for your clients’ financial interests, you are committed to transparency. It is right and proper that financial services professionals disclose any pertinent facts about their firm, document their actions and decision-making processes, and then make this documentation readily available to the consumer. Transparency is an essential part of the New Generation Retirement system, and a commitment to transparency is visible through a strong foundation in technology. The foundation of New Generation Technology® is KonnexME, LLC, a platform built from two fundamental components: Virtual Advisor®, a customer relationship management system, and Generational Vault®, a secure client portal. 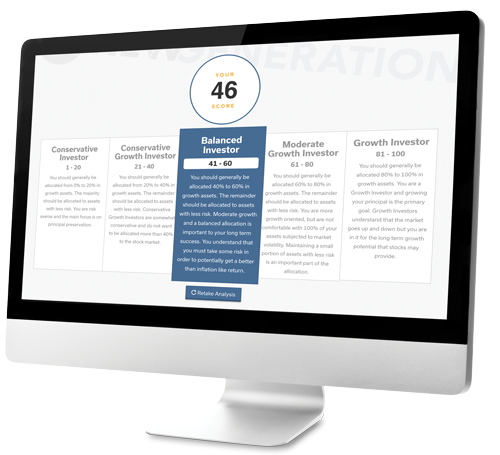 Virtual Advisor fully automates every aspect of your practice, from marketing and prospecting to data collection using the Strategy Assessment® to workflows and automatic documentation. 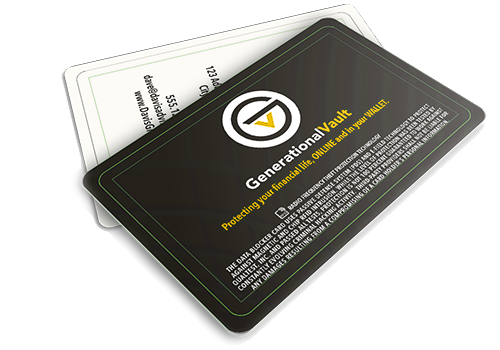 Generational Vault is a secure, cloud-based portal for your clients that documents every step of the five-step system and gives them 24/7 access to their financial lives, allowing them to manage and organize their retirement. 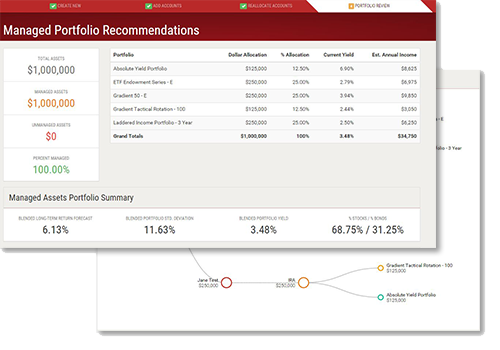 Help your clients and prospects achieve their unique financial goals and objectives using cutting-edge New Generation Technology! When you work with a member of the Gradient Financial Group family of companies and implement the New Generation Retirement system, you use the KonnexME platform to leverage an automated, technology-enabled system to manage the five key steps of engaging a new client. It all starts with technology. The KonnexME platform is specifically designed for financial services professionals and adaptable to your practice. It is field-tested and fireproof. Every step of the New Generation Retirement system is programmed into KonnexME and ready to execute. 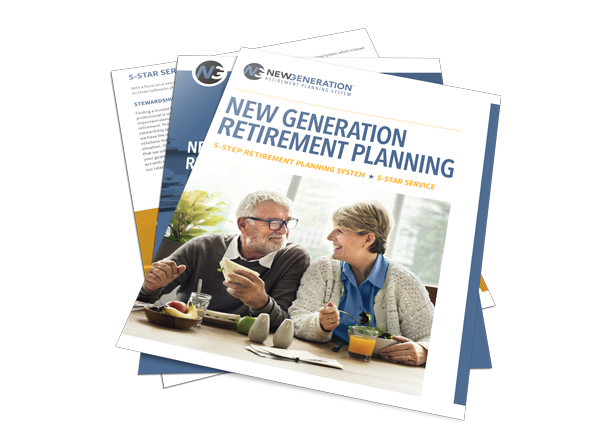 The New Generation Retirement system Sell Sheet is a valuable resource that clearly outlines the five-step system. 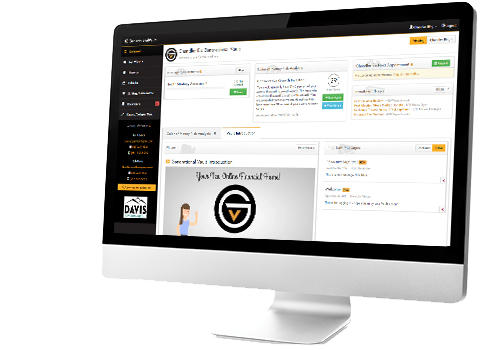 It provides a clear picture of the entire process, and identifies the unique tools and resources available to you at each particular step. 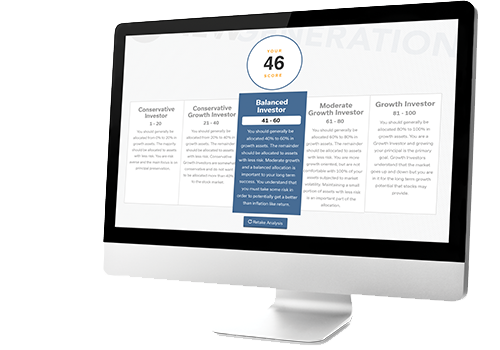 Step One introduces your prospects to the New Generation Retirement® methodology through seminar tools and by automating additional prospecting techniques to deliver quality information in a timely manner. Step Two incorporates the Color of Money Risk Analysis and Strategy Assessment. These dynamic, online questionnaires allow your prospects to define how they feel about their money, risk tolerance and future plans. They should be complemented by the New Generation Retirement Fact and Feeling Finder and the New Generation Retirement Consumer Brochure to give insight into your retirement process. Step Three covers five primary topics: understanding risk exposure, generating income in retirement, managing and optimizing assets, creating a financial legacy and exploring tax services. These topics are presented to your prospects through correlating New Generation Retirement reports, including Color of Money, Social Security Maximization and Retirement Compass. * FireLight® integration into the KonnexME technology platform is currently available for fixed insurance products only. Step Five addresses the importance of maintaining long-term client relationships. With enhanced value-adds, such as Generational Vault, ByAllAccounts and Wealth Watch®, you are able to give your clients the highest level of service. New Generation Retirement is a holistic approach to addressing consumers' financial goals and objectives. It is a methodology for preparing for retirement specifically designed for your prospects and clients based on the principles of fiduciary/stewardship, transparency and technology. The New Generation Retirement system uses five critical steps to explore key areas that are fundamental to successfully preparing for retirement. At the end of the process, you will be confident you have given careful consideration to your clients' asset allocation and risk, income planning, asset maximization, legacy planning, and tax strategies. Step One explains the role of a financial services professional and introduces New Generation Retirement. Step Two encompasses detailed questions about the consumer’s financial well-being, which begins with the Color of Money Risk Analysis and Strategy Assessment, and incorporates the elements of case discovery and client feedback. Step Three employs Case Central, LLC and the proprietary Color of Money, Social Security Maximization and Retirement Compass reports to craft a holistic strategy based on the consumer’s goals and objectives. Step Four presents the consumer with solutions and customizable point-of-sale pieces, and provides efficiency by utilizing forward-thinking technology such as electronically-generated and pre-populated forms with e-signature capabilities. Step Five addresses long-term client engagement and five-star service by providing consumers with unique technology and enhanced value-adds, such as Generational Vault, ByAllAccounts and Wealth Watch. Before a client can make an informed decision about their assets, they need to have a clear understanding about their own attitudes toward risk and how it might relate to their retirement. The Color of Money Risk Analysis explores how your clients feel about potential gains and losses and examines the uncertainty and predictability of their assets. The Color of Money Risk Analysis is the first step to determine if your clients’ current assets are properly aligned with their risk tolerance. To further explore the Color of Money Risk Analysis and take the assessment yourself, log in to your gDrive account here. If you do not have a gDrive account, please call us and ask to speak to one our VPs of marketing.